Rouhani added “that Iran would want both sides to set aside all their divergences and launch direct negotiations with the aim of achieving full normalisation and accomplishing an integrated regional cooperation that would protect the region”, Kuwaiti daily Al Jareeda reported on Friday, citing a source in Rouhani’s office. Rouhani on Wednesday made short trips to Oman and Kuwait where he met the leaders of the GCC countries. The GCC, established in 1981, also comprises Bahrain, Qatar, Saudi Arabia and the UAE. Iran has no diplomatic relations with Bahrain or Saudi Arabia after the two countries severed their ties with their neighbour in January 2016 following the attacks on the Saudi embassy in Tehran and general consulate in the northern city of Mashhad. Qatar and the UAE downgraded their diplomatic contacts with Iran following the torching incidents. Bahrain has often accused Iran of interfering in its domestic affairs and called for full respect of its independence and sovereignty. On January 25, Kuwait’s foreign minister Shaikh Sabah Khalid Al Sabah made a rare visit to Iran with a message from the GCC to start a strategic GCC-Iran dialogue based on the principles of good neighbourliness, non-interference in the domestic affairs of other countries and respect for the sovereignty of other countries. The message to launch the dialogue was approved by the GCC countries at their annual summit in Bahrain in December. According to Al Jareeda source, Rouhani said in Kuwait that Iran had its own concerns, in parallel with the concerns of the Gulf. “For Rouhani, the best way to address the concerns would be to sit down to the negotiating table because if the parties wished to put their differences but without sitting together, they will not achieve any result,” the source said. Observers in the Gulf agreed that Rouhani’s trip to Kuwait, his first to the northern Arabian Gulf country since he took office in August 2013, was to help ease the cordon that the new US Administration is placing around Iran. The new menaces are forcing Iran to improve its ties with the GCC neighbours that have been strained by sharp divergences over policies in the region, the observers said, London-based Al Arab daily reported. 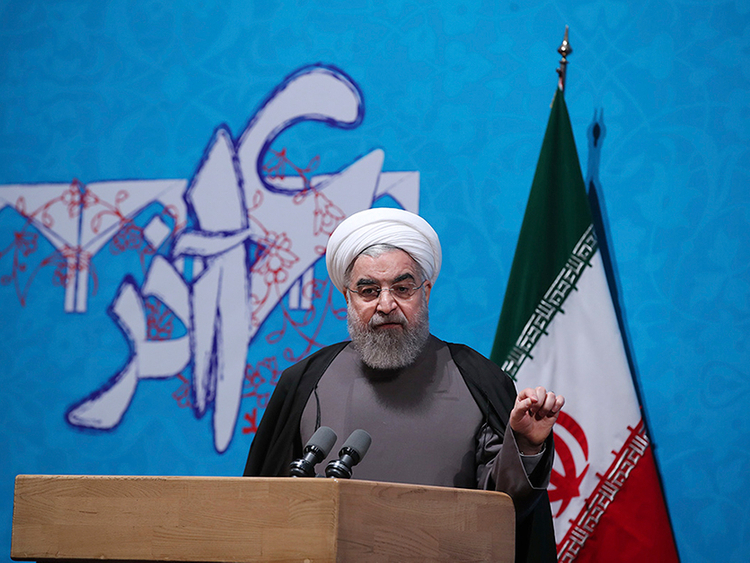 “Rouhani’s visits to Oman and Kuwait were mainly to explore the Gulf mood regarding a rapprochement with Iran. The visits did not carry with them answers to the questions asked by the GCC capitals about Tehran’s policies that are threatening the security of the Gulf countries,” the daily said. In Muscat, Rouhani wanted to explore the possibilities for Oman to play the role of mediator with the US Administration, especially that the Omani capital had helped in the past by hosting the Iranian-US negotiations ahead of the nuclear deal, they added.